Feel confident you’re employing the most effective, research-supported strategies when it comes to improving your Parkinson’s symptoms today and decreasing the impact of the disease on your future. 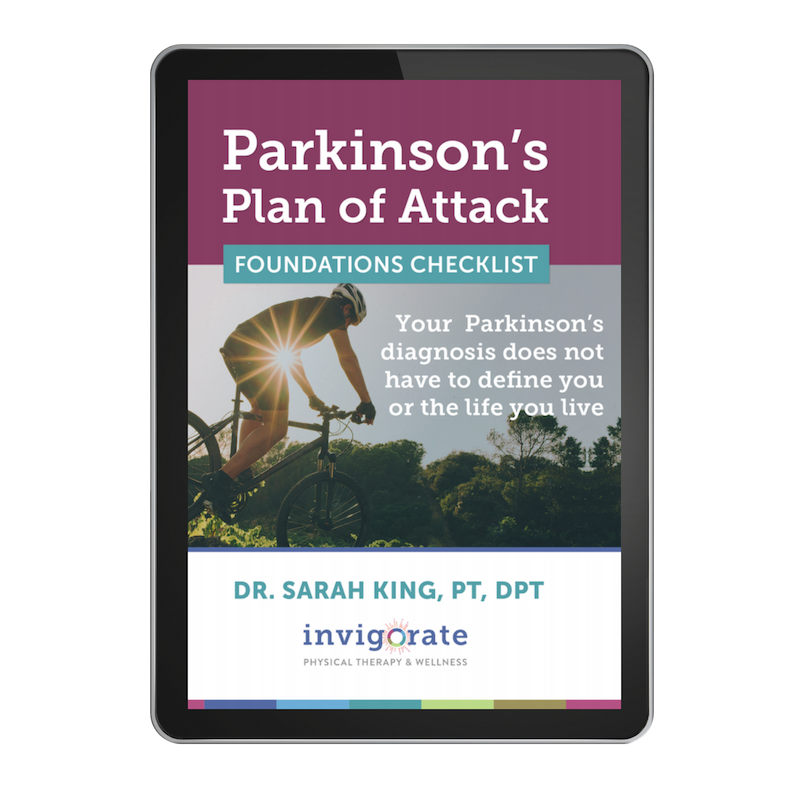 Create an individualized action plan with 30 easy-to-digest and quick-hitting videos that guide you through the basics of Parkinson’s exercise, nutrition, stress-management, and sleep optimization. Exercise is the most effective strategy supported in the research to slow the progression of Parkinson’s symptoms. The entire program is laid out for you. All you have to do is plug it into your weekly schedule, press “play” on the videos, and follow along. A strong and stable core builds the foundation for health and longevity, but you can’t get there with crunches alone. This 4-part program is designed to help you improve spinal flexibility, activate deep core musculature, improve posture, and build strength in your hips, back, and stomach. Download PDFs of all the exercises so you can do them on the go. Simply plug it into your weekly exercise schedule and follow along.